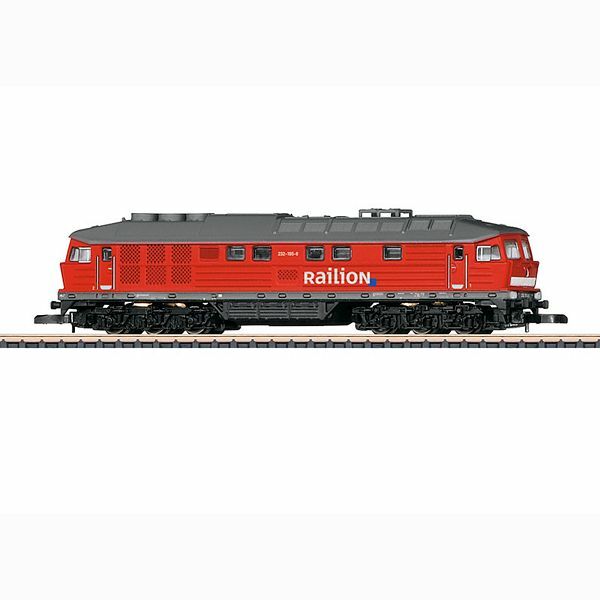 Prototype: German Railroad, Inc. / Railion Germany, Inc. class 232 ("Ludmilla") heavy diesel locomotive in a "Traffic Red" basic paint scheme. Model: The locomotive is extensively and finely painted and lettered. The cab interiors are suggested. Both trucks powered. The locomotive has triple headlights and dual red marker lights that change over with the direction of travel. Maintenance-free warm white and red LEDs are used for the lighting. Length over the buffers about 95 mm / 3-3/4".